Many of today’s pressing environmental issues occur at a scale too great for one organization or agency to solve alone. Rather, problems like catastrophic wildlife, invasive pest outbreaks, extreme weather patterns, and eutrophication of lakes and streams, all must be addressed collaboratively. As such, landscape level collaborative natural resource planning and management is critically important. My research seeks to address the following questions: What makes collaborative natural resource planning and management happen effectively? How can we train the next generation of resource professionals in those effective strategies? 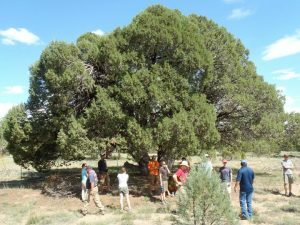 I explore those questions by studying community involvement in public land management and by conducting evaluations of environmentally-focused service-learning. You can view my publications via my Google Scholar site. I worked with a number of partner organizations, including The United States Forest Service Pacific Northwest Research Station, The United States Forest Service Collaborative Forest Landscape Restoration Program, The National Park Service Inventory and Monitoring Program, Lake Champlain Sea Grant, Lake Champlain Basin Program, Resource Systems Group, and others.